To receive future Davidson Academy Prospective Student eNewsletters, sign up here. The application deadline for Davidson Academy's online campus has been extended to April 15 - Apply today! The THINK Summer Institute application deadline of March 29 is rapidly approaching! See details below for each of these programs. 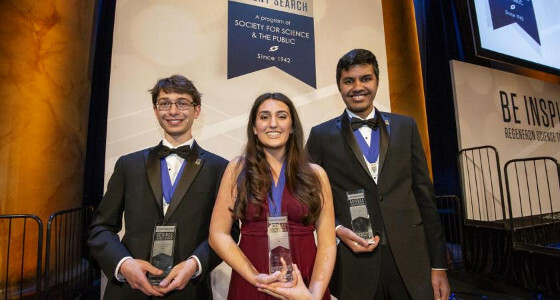 Some of America's brightest students were recently recognized when the Society for Science & the Public (SSP) and Regeneron announced the winners of the 2019 Regeneron Science Talent Search (STS). The Regeneron STS recognizes 40 high school seniors creating new technologies and solutions that can change the world through scientific innovation. Ana Humphrey (pictured, center) won the top award of $250,000 for her mathematical model to determine the possible locations of exoplanets that may have been previously missed. Her research could aid our understanding of the formation of planets and inform our search for life in outer space. Samuel Weissman	(left) received second place and $175,000 for analyzing the genetic makeup of HIV in two patients, expanding our understanding and possibly impacting future treatment approaches. Adam Ardeishar	(right) received third place and $150,000 for his project combining a classic previously unsolved math problem called the “coupon collector problem” with extreme value theory. 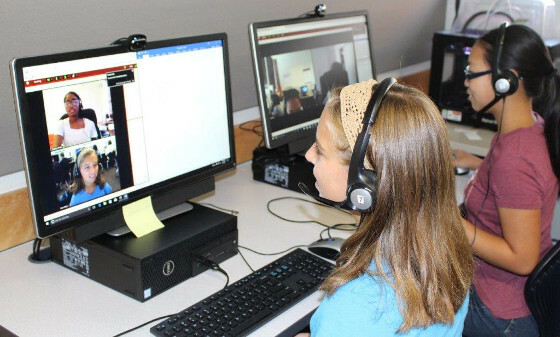 The Davidson Academy’s Online instructors build their virtual “teacher presence” in order for students to feel connected to them, as if they were in the same physical classroom. When asked what methods they use to accomplish this goal, they shared a variety of approaches. The Davidson Academy Online 2019-2020 application deadline has been extended until April 15! Scores from the May SAT will be accepted if everything else in the application is completed on or before April 15. The last day to register for the May SAT is April 5. View the admissions process. If you have any questions, please email online@davidsonacademy.unr.edu. Learn what makes the Davidson Academy Online campus unique from firsthand accounts of those who know the school best - students, parents, instructors and staff - in the new Online Overview Video! Hear about the school's curriculum, social atmosphere and what sets the the Davidson Academy Online campus apart from all the other online schools out there. Also see the main Davidson Academy Overview Video and Alumni Video. 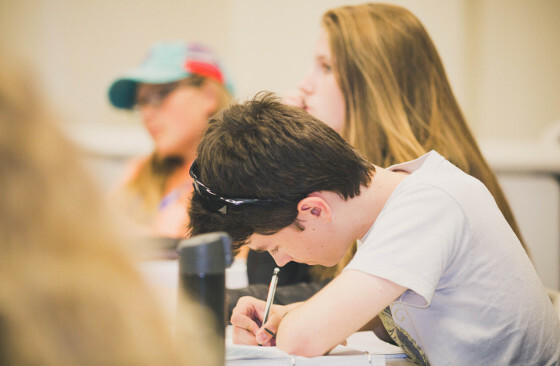 Among the most academically rigorous summer programs is the	Davidson THINK Summer Institute, which runs July 13 through August 3. 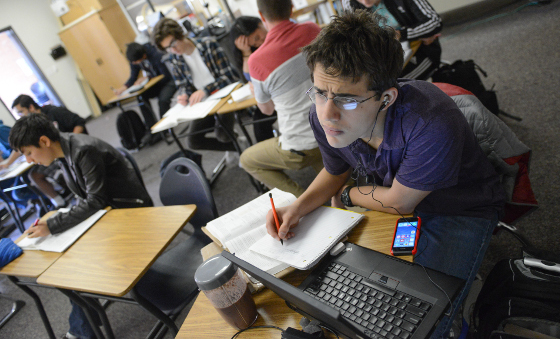 Students can earn up to six college credits at this three-week residential summer program on the campus of the University of Nevada, Reno. To qualify, students must be 13 to 16 years old during the program and submit an SAT or ACT score. Tuition is $3,950 and covers course credits, books and materials, room and board, and the cost of planned activities. Need-based scholarships are available. Apply today - space is limited and the application deadline is Friday, March 29! The Davidson Young Scholars program provides FREE services designed to nurture and support profoundly gifted young people and their families, including talent development, educational advocacy, an online community and the Ambassadors program. Young Scholars can also access annual get-togethers, a summer camp for 8 to 12 year olds and accredited, online middle school courses. Applications are due the first of each month. For more information, see the How to Apply and Qualification Criteria pages. Meet the Class of 2020 Young Scholar Ambassadors! This group of 13 highly motivated students is working hard to make a positive difference in the world. Their projects include educating youth on various topics (genetics, civics, coding, etc. ), encouraging environmental awareness, working with senior citizens, and so much more! NATIONAL – The Administration recently released its Fiscal Year (FY) 2020 Budget Request for the U.S. Department of Education, which proposes elimination of the Jacob K. Javits Gifted and Talented Students Education Program. Javits previously had received $12 million in funding. Source: NAGC; What is a Javits Grant? 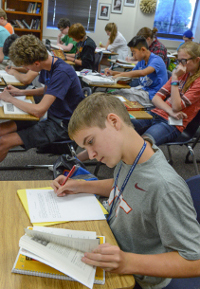 The Summer Institute for the Gifted (SIG) is in full swing for the 2019 season, their 35th year of providing summer enrichment programs for gifted, talented and creative students. This summer SIG will continue to have residential and commuter programs (spanning ages 9-17) at Bryn Mawr College in Philadelphia; Emory University in Atlanta; Princeton University in Princeton, NJ; UC Berkeley in CA; UCLA in Los Angeles; University of Chicago in Illinois; University of Miami in Florida; and, Yale University in New Haven, CT. SIG will also continue to have 14 day programs (for ages 5-12) around the country, including new sites in the Dallas, TX area, New Haven, CT, Seattle, WA, and Sarasota, FL. SIG’s online courses for ages 5-12 run year round, summer, fall, and winter. Epsilon Camp admission season has extended into rolling admissions – there are still multiple spots available for student ages 7-11 who can qualify. 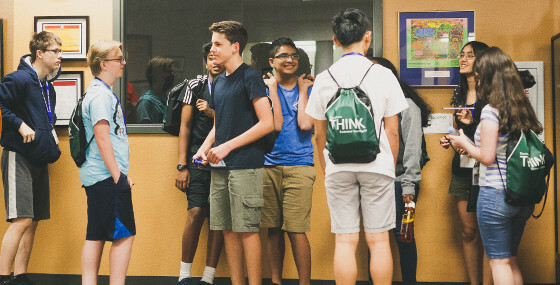 Epsilon Camp is a two-week summer residential camp serving the mathematically promising and their families through an intensive student program and a parent workshop. The mission of Epsilon is to connect precocious children (7-11) to professional mathematics and build a supportive community with peers and families. The camp also includes a parent program of parent interaction and discussion on the work of bringing up a child who is precocious in mathematics. Epsilon Camp will be held in Colorado Springs this year, from July 14 to 28. Details are on the website. 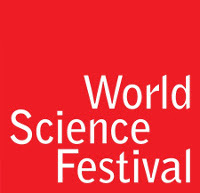 The World Science Festival is now recruiting one-in-a-million mathematical minds looking to use their exceptional skills to change the world through the World Science Scholars online program. World Science Scholars can connect online and in-person with world-renowned scientists and thinkers. The 2019 application deadline is April 15. Benjamin Franklin Experience (BFE) (Greenville, SC) is a summer program open to students ages 14-18 that provides students day-in-the-life experiences in ten inspirational careers led by experts. Fields include STEM, arts, journalism, law, medicine and more. The Online Science Program Comparison takes a look at the most popular online science programs used by Davidson Young Scholars. These program can be utilized in a variety of ways; enrichment, tutoring, curriculum replacement, independent study, etc. Project Lead The Way provides transformative learning experiences for PreK-12 students and teachers across the U.S. 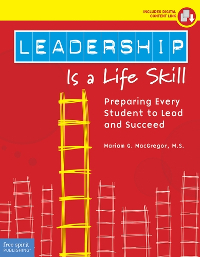 The organization creates an engaging, hands-on classroom environment and empowers students to develop in-demand knowledge and skills they need to thrive. 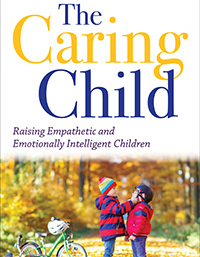 The article When your gifted child disappoints provides parents advice on how to prepare for the roller coaster ride of parenting. Discuss these stories and more on the Gifted Issues Discussion Forum. 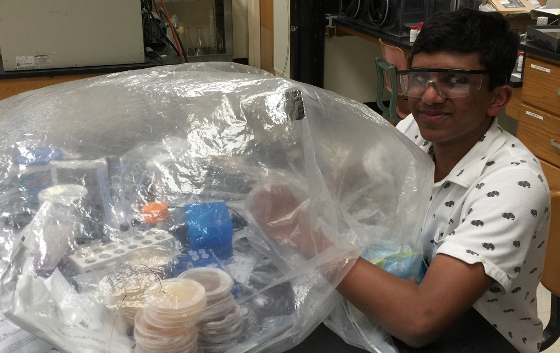 Rahul Subramaniam of Cos Cob, Conn. will receive $50,000 for his Davidson Fellows project, "An Early Warning System for Zika Virus in Mosquito Populations Based on Real-Time Field Detection of Viral RNA in Mosquito Saliva." What kind of impact can your Fellows project, “An Early Warning System for Zika Virus in Mosquito Populations Based on Real-Time Field Detection of Viral RNA in Mosquito Saliva” have on society? The main impact is enabling health workers to rapidly quarantine and isolate areas that could be harboring Zika virus. My project works by detecting Zika virus in live mosquito populations in real time, so it can tell you almost immediately if a certain area is carrying Zika virus or not. Considering that current methods used to detect Zika virus used in mosquitoes can take 2-4 weeks to obtain results, my system is a major improvement on this turnaround time. It also provides a yes-or-no result with a color change that is visible to the naked eye, and does not require any laboratory processing or analysis for data interpretation, so a health worker sent to collect the warning system trap could simultaneously obtain results. All of this allows health workers to evacuate areas immediately and prevent people from getting infected with the virus by targeting its most crucial vector. It also enables health agencies to concentrate their more detailed tests (such as PCR) on only the regions that are suspected of containing Zika virus instead of spreading these resources over large areas. What are some of your short-term and long-term plans? In college, I definitely want to continue studying biology, especially microbiology and immunology. Both of these subjects are really interesting to me, and studying them in college would be a great way to hone my interest. I also plan on doing science research in college, either on my own or in a university lab, probably either in microbiology or biomedical engineering (another field covered by my project). I do plan on getting an MD after undergrad, but beyond that I'm open to various professions in biology. While a career in infectious disease is of course a major option for me, I'm still open to see where college takes me and maybe discover a new passion. Please describe your academic setting and some positive experiences with mentors. I conducted all my research at my high school (Greenwich High School) in my school's science research class. This is a science elective that students sign up for and take as a class during the day, in which they design and conduct their own science research project through the school year. The class is run by Mr. Andrew Bramante, who I am very thankful to have as my mentor. His help in not only providing funding and equipment for experimentation but also his constant support and encouragement throughout the scientific process has been incredible to me. He also opens the school lab on weekends and over breaks, which is invaluable time for conducting longer experiments or tests. Without Mr. Bramante, my project would not have been possible. I would also like to thank Mr. Michael Thomas at the CT Agricultural Experiment Station for graciously helping me with the live mosquito testing in my project, another critical component that would not have been possible without his help. If you have information to include in a future newsletter, please contact us at admin@davidsongifted.org. If you have been forwarded this eNews-Update, and wish to receive future editions, sign-up here. To subscribe, visit the Davidson Institute's eNews-Update archive page.